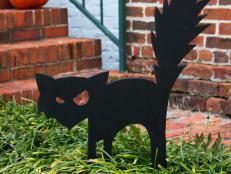 Create a giant rat cut-out for your front yard to give trick-or-treaters and Halloween guests a fright. 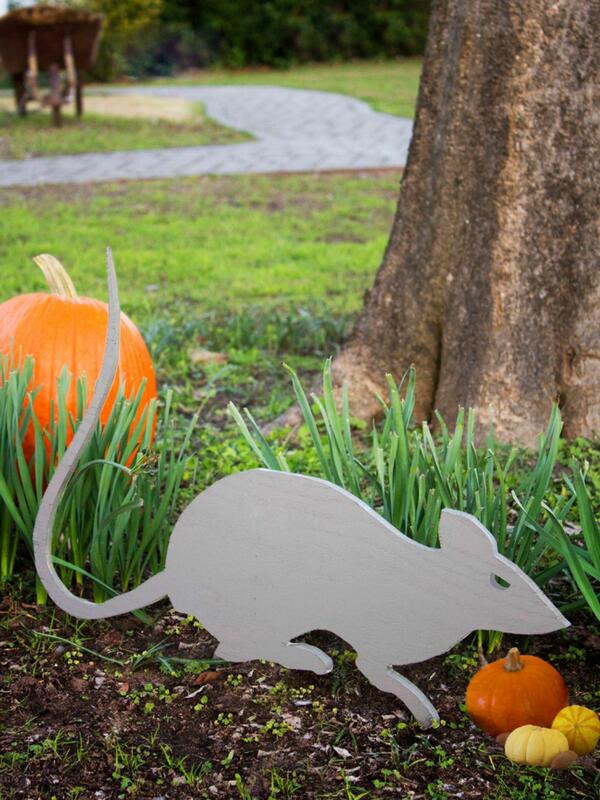 To create an oversized rat, have a local copy shop print out a 2' x 2' version of this template. 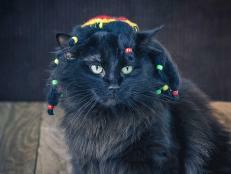 Using scissors, cut out pattern. 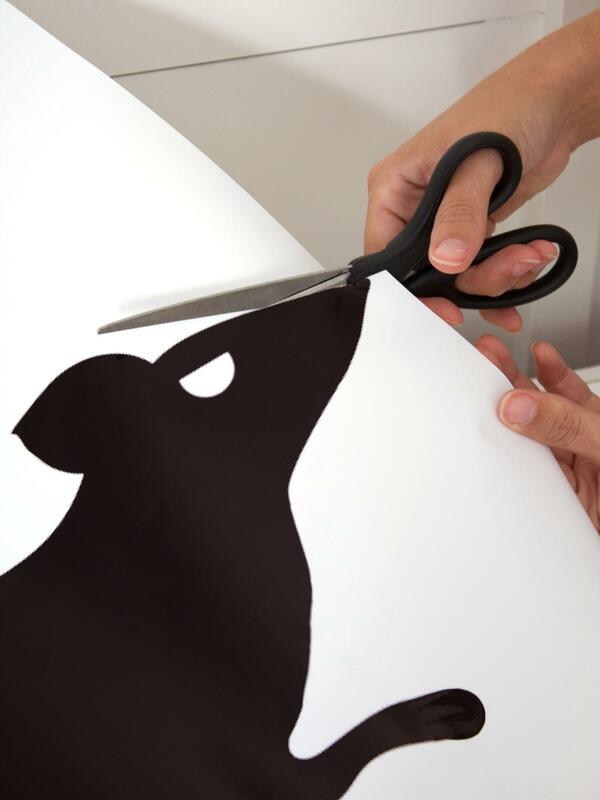 Tip: If you'd prefer, you can create smaller versions of the rat using templates printed onto standard printer paper. 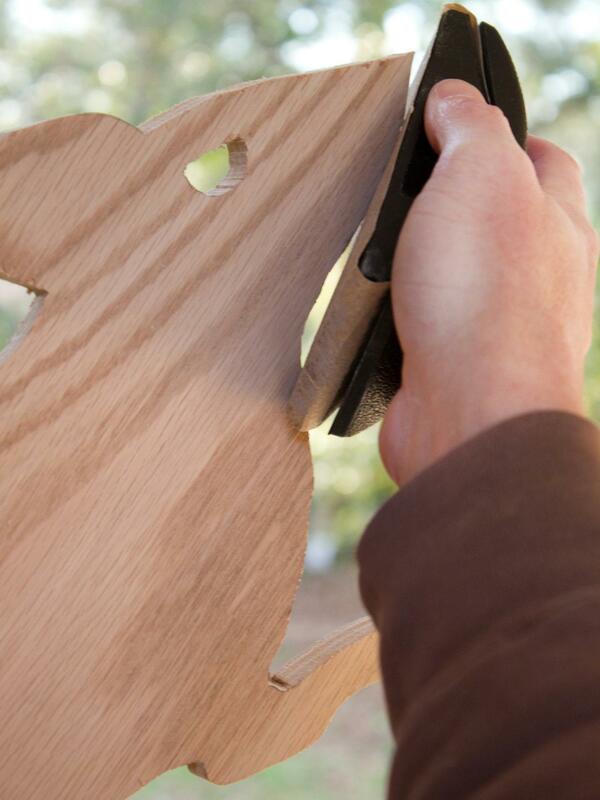 Use a pencil to trace the rat template onto a 2' x 2' piece of plywood. 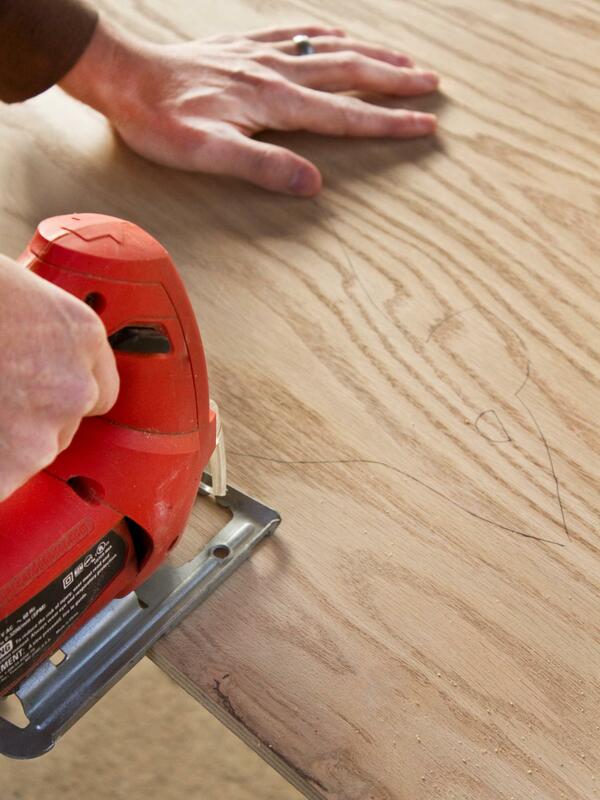 Use a jigsaw equipped with a fine-toothed wood-cutting blade to cut the rat out by slowly following your pencil lines. 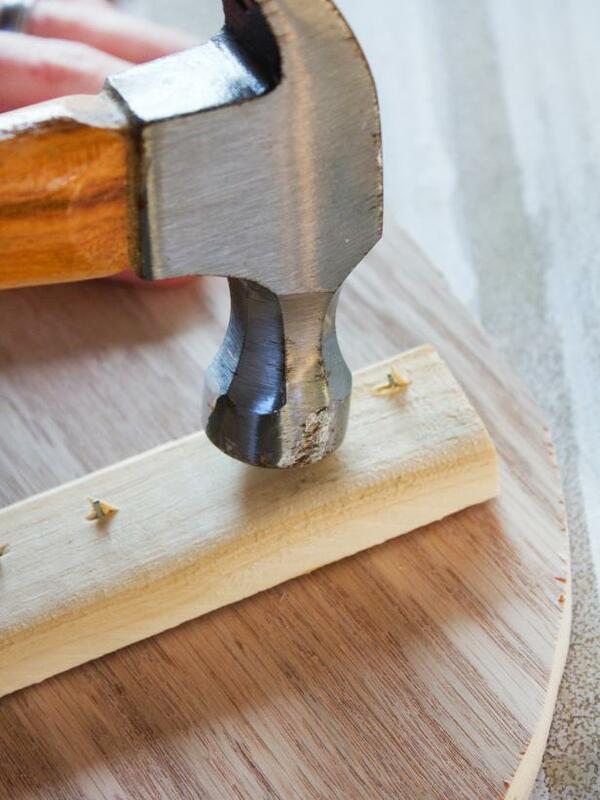 Create a starter hole in the center of the eye using an extra-large drill bit. 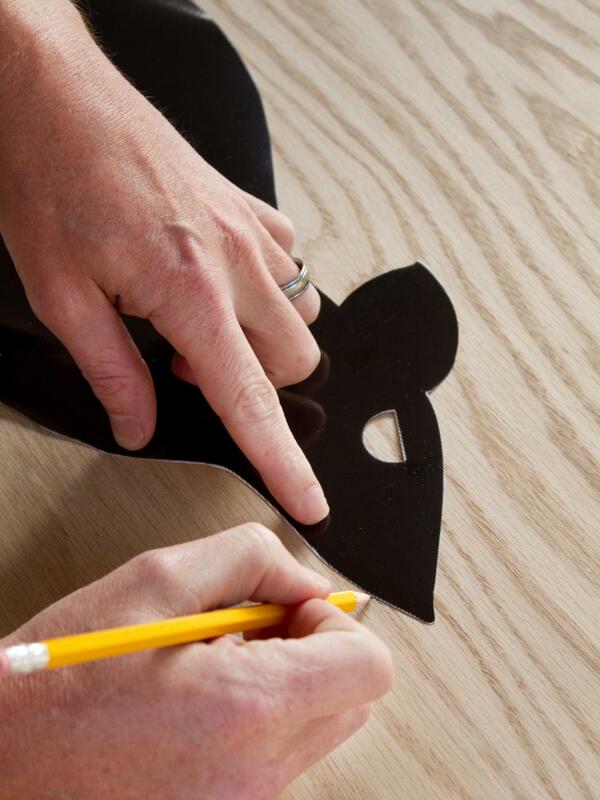 Insert the jigsaw in the drilled hole and continue cutting out the eye. 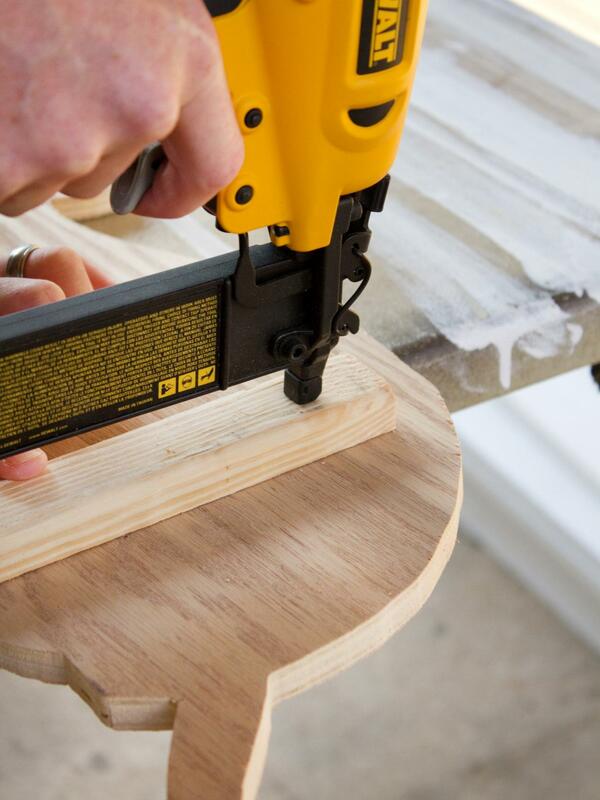 Create a starter hole in the center of the eye using an extra-large drill bit. 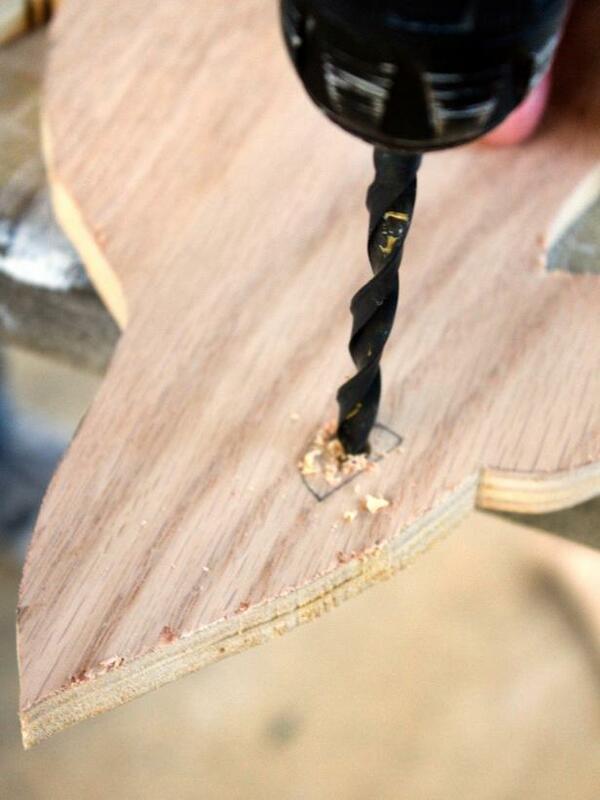 Insert the jigsaw in the drilled hole and continue cutting out the eye. Apply construction adhesive to the upper portion of one wood landscaping stake, and attach the stake to the back side of the rat's legs (Image 1). 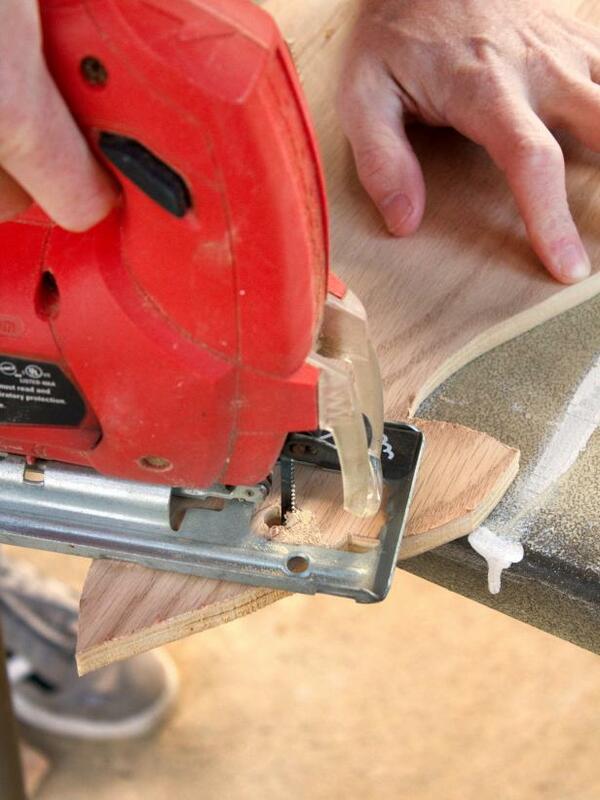 Flip the rat over, and use a pneumatic nailer to further secure the stake to the rat from the front side (Image 2). 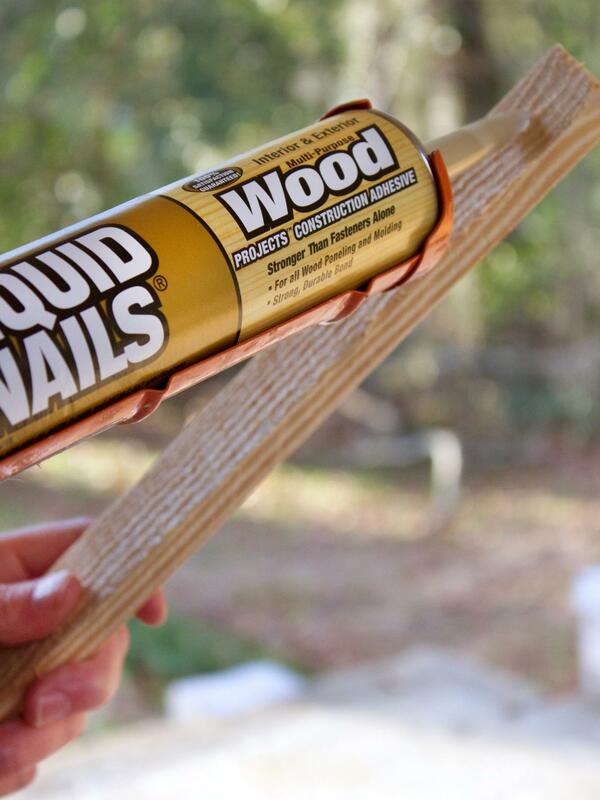 Flip the rat over again, and hammer down the ends of any nails that are sticking through the back (Image 3). 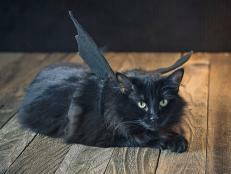 Flip the rat over again, and hammer down the ends of any nails that are sticking through the back. 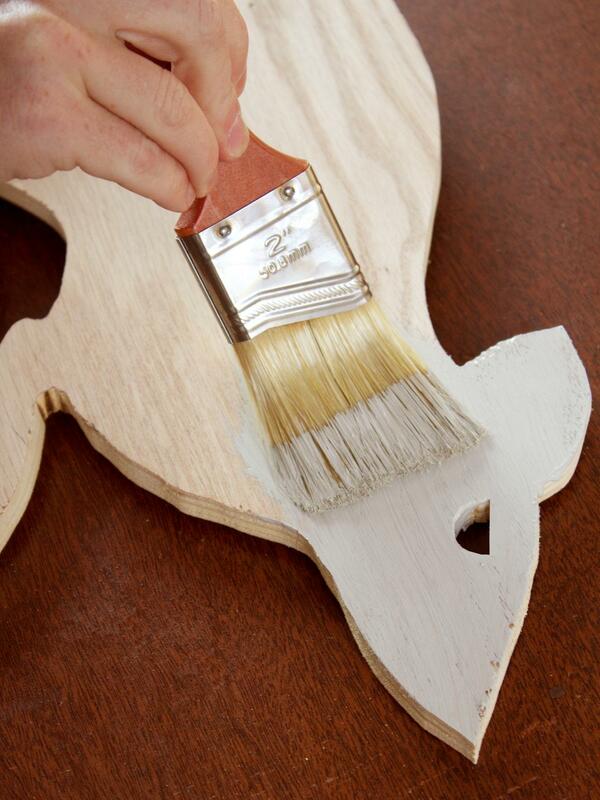 Use a sanding block to smooth rough edges, then coat both the front and back sides of the rat and stake in gray exterior paint and allow to dry. 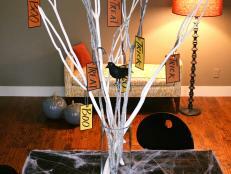 Coat both the front and back sides of the rat and stake in gray exterior paint and allow to dry. 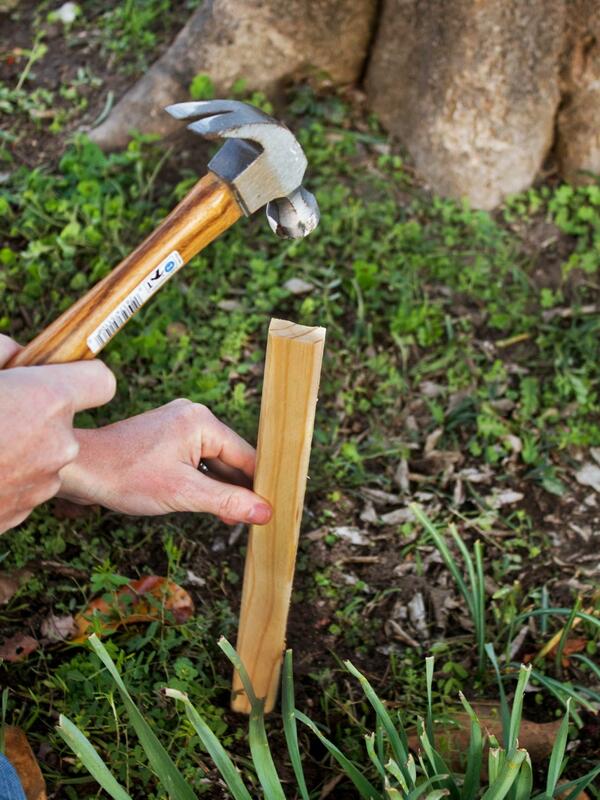 Select an outdoor location for the rat and use a second wood stake to drive a shallow starter hole into the ground. 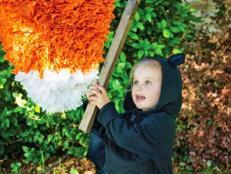 Remove the stake, then firmly push the rat's stake down into the hole. 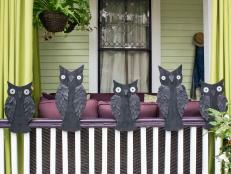 Create an arched-back black cat cut-out for your front yard to give trick-or-treaters and Halloween guests a fright. 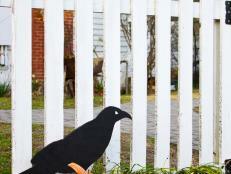 Create a foreboding larger-than-life raven cut-out for your front yard to give trick-or-treaters and Halloween guests a fright. 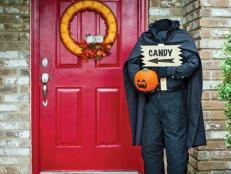 Give trick-or-treaters a scare by constructing a near lifesize headless horseman door greeter who points the way to the candy. 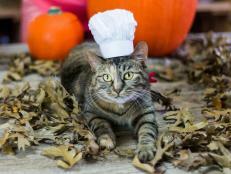 Create this flower-free centerpiece in a snap to dress up a Halloween table setting or place it on your entry table to greet trick-or-treaters. 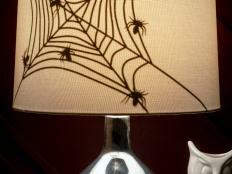 This Halloween lampshade gives a spooky surprise when illuminated to reveal a creepy spiderweb silhouette.